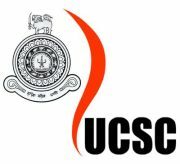 UCSC Research Seminar is actually a compulsory subject for 4th year Computer Science undergraduates. Every undergraduate has to prepare a presentation on a research paper, and two undergraduates will present per week. The objective of this Research Seminar is to wider the knowledge of the students and improve their dexterity in presentation skills. W. G. D. M. Watugala Sir is the coordinator of this lecture series and he is doing a excellent job on organizing the event. Every two candidate will announce the paper that they are going to present two weeks prior their presentation date. So the audience (most probably current 4th year undergraduates and lecturers) can read and study about the paper. At the end of the presentation we are having a nice and descriptive discussion to clarify the important things in the papers. I my self also presented a research paper several weeks ago. Which is "Tamper Detection in Audit Logs". The author of this paper is Richard T. Snodgrass and he is a professor at the University of Arizona. You can download the paper using this LINK. The experience which I gained was remarkable. Sometimes I have to depend some tricky questions thrown by the audience. It was pretty much hard to provide a better answer such shorter time. But I think I managed it really well :) .